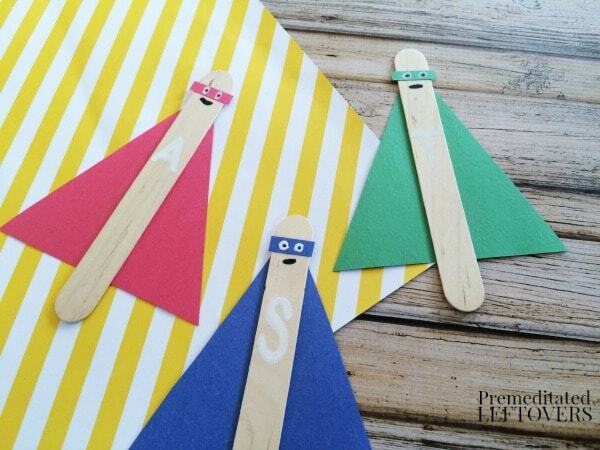 Kids craft ideas like these fun Superhero Sticks Craft for Kids are a perfect way to get children to use their imagination. I love that you can easily personalize your superhero by using markers, stickers, or even sequins to make a simple kids craft into something truly unique. 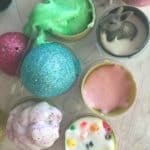 They are great for an afternoon activity, but even better as a fun project for kids to make at a superhero themed birthday party! 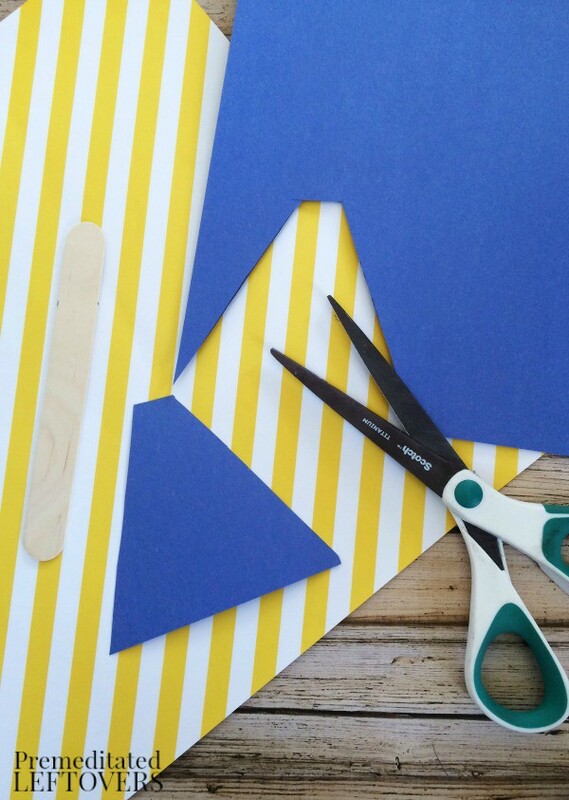 Place your craft stick on the construction paper and draw a triangle the size you want your superhero's cape to be. Cut out the triangle. 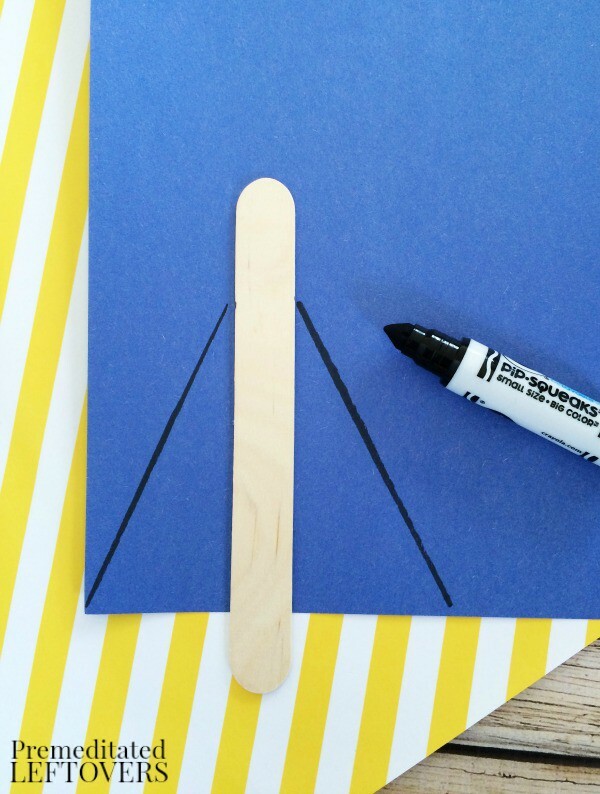 Using your glue stick, glue the craft stick to the triangle. Cut out a small rectangle from your construction paper, not much wider than the width of the craft stick, which will become the mask. Glue the rectangle on the craft stick with your glue stick. Using your paint pen or paint and black marker, draw some eyes on top of the rectangle and a mouth just below. Write a letter in the center of the body. I chose to do the first letter of the child's name. 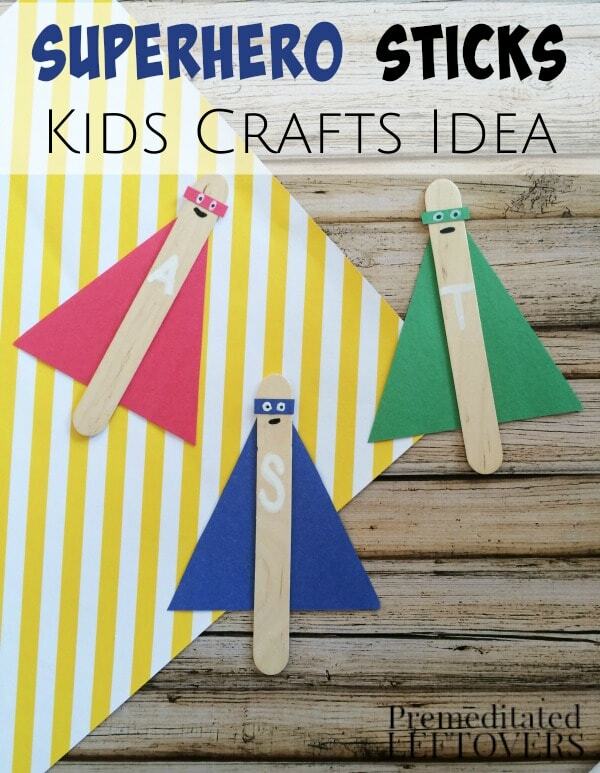 I love the idea of using this kids craft as a fun project for a superhero themed birthday party. Setting up tables with supplies and things to embellish them makes it a great way for all of the kids to create their own unique superhero. Use a variety of colored papers, or even grab some unique sparkly craft paper for this project. Once your kids have created their Superhero Sticks, they can use them to pretend to fly around the room. 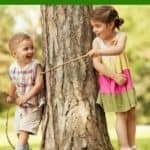 You could also encourage them to write their own fun superhero story and use their custom superhero sticks to put on a play for the family! 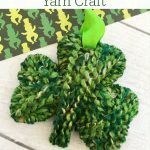 They even work great for a small puppet theater! 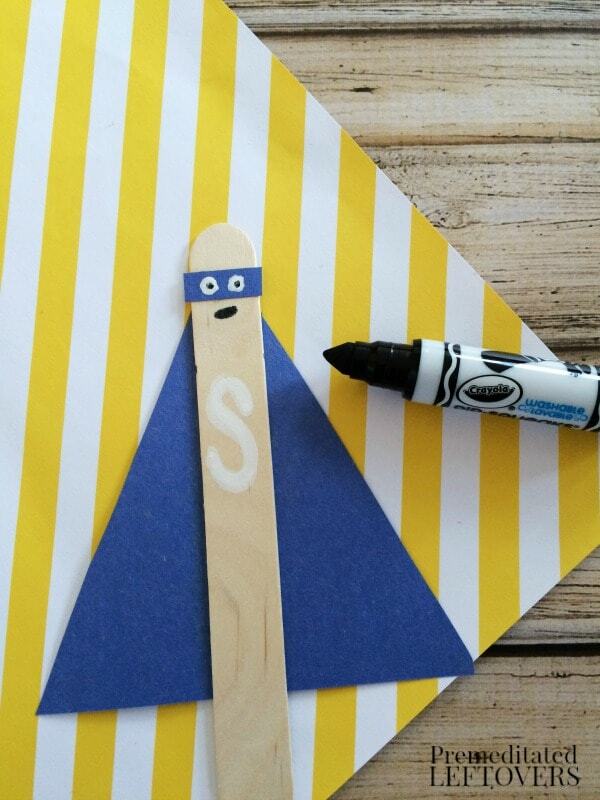 What better kids crafts idea than to make a Superhero Stick for your kids to celebrate their own unique super powers? !